The Civil War was an era of extreme unrest in the United States. Annette Drake, the author of Celebration House from Tirgearr Publishing, took a character from that time period and plopped him into the present day - with a twist. Annette is here today to talk about her writing, her career as a newspaper reporter and editor and the story behind her debut novel. Welcome to Writing Belle. Introduce yourself! Hi. My name is Annette Drake. My debut novel, Celebration House, was published on August 1st by Tirgearr Publishing. I’m so delighted to be here. Thank you for hosting me. You worked as a newspaper reporter and editor before you were a novelist. What was that like? Exciting! I had opportunities to do some amazing things, like don a beekeeper’s suit and experience bees swarming around me. I talked with a slew of interesting people, from race car drivers to USSR jet pilots. (Yes, I’m old enough to remember when there was a USSR). I learned so much and wrote so much. It was a natural progression to transition into the world of fiction writing. I think a lot of amazing writers start as newspaper reporters and eventually, leave that world behind to create worlds of their own. Jennifer Weiner comes to mind. I’ve always thought if the day comes when a reporter interviews me, I would ask about the neglected manuscript tucked away in a desk drawer. Your debut novel, Celebration House, released August 1st. What's it about? Celebration House is about a young woman who chooses to leave the bustle of Seattle behind and return to her childhood home of Lexington, Missouri. There she buys and restores a derelict antebellum mansion, which she then opens as a celebration venue for weddings, class reunions, and those sorts of special occasions. She possesses a unique gift: the ability to see and talk with the dead, including a handsome Civil War soldier who befriends her, and the horse-trader who built the house. I see that you write MG and YA fiction, as well. Tell us a little about your current projects in those areas. I finished Bone Girl, my middle-grade novel, earlier this summer, and I’m looking for a home for this unique manuscript. I think the title might be a little bit offsetting, but the story isn’t about human bones. It’s about an 11-year-old girl who learns to play the trombone. She’s an amazing character whom I’ve come to care about a great deal. I hope readers of the novel will share my affection for her. Currently, I’m writing a contemporary romance entitled, A Year with Geno, which takes place in Eagle River, a small community north of Anchorage. This is an idea that came to me when I was at my oldest daughter’s soccer game. I wrote fast and furiously so I could remember all of the plot. I’m now giving myself permission to right a less-than-ideal first draft. I want to have fun with this book – lots of description of life in Alaska. Snappy dialogue. I just want to enjoy writing this book. What is your story-creation process? When ideas come to me, I try to write them down as fast as I can, so I keep a journal handy. For me, the hard part isn’t starting a manuscript; the hard part is finishing the manuscript. My writing time is scarce. I write when my children sleep and before they wake. Honestly, nothing feels as great as trying to put pen to emotion and write down the scenes as my characters have patiently explained them. Nothing feels better. Or, going back to pages I wrote years ago, and enjoying what I wrote. It’s that click, that cog slipping into the gear, which makes it all worth it for me. As I struggle to place my middle-grade manuscript, I’ve come to the conclusion that even if I make no money from my writing or never publish (except perhaps self-publish) another word, I’ll never stop writing. It’s just who I am. It’s what I do. For me, that is enough. Tell me about who inspires you as a writer. I’m a huge fan of Ray Bradbury. I keep his books near my desk. He could say so much with so few words. I admire that skill. 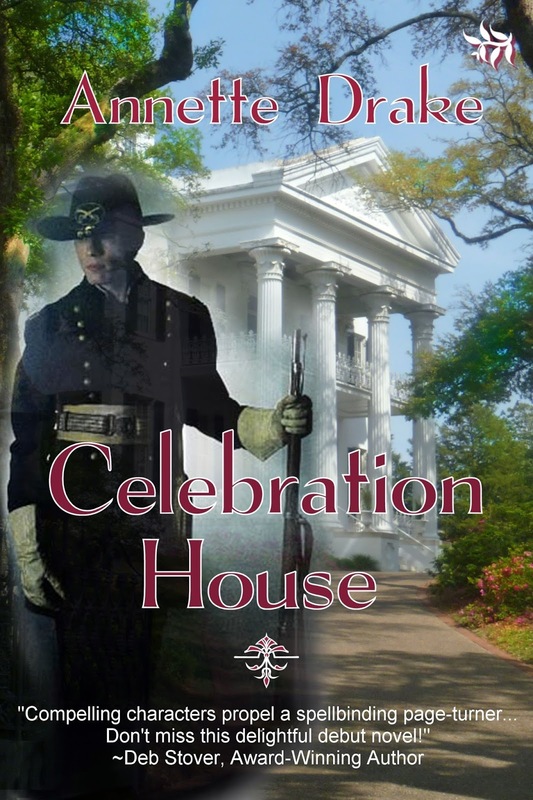 On another note, Celebration House deals with a male protagonist who hops straight out of the Civil War era. Did you have to do any research to keep things accurate? I’ve been a Civil War aficionado since I was a young child. I can’t explain it. Past life, maybe? I’ve always thought it was a little weird. On my bookshelves, I have book after book about the American Civil War. The Battle of Lexington, also known as the Battle of the Hemp Bale, took place in September of 1861. I visited the Anderson House, which was a field hospital during the war, many times to research the three-day battle. In August, my family and I visited Lexington to promote Celebration House. 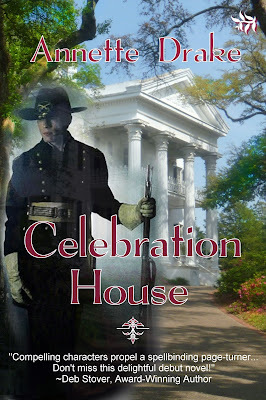 One of the highlights for me was during my presentation at the library when a member of the audience questioned the cover art for Celebration House. He did not approve of the Union uniform. He wanted to be sure I knew Lexington was pro-Confederate during the war. This made me laugh! Any parting advice for aspiring novelists or journalists? Never stop writing. The world needs your stories. Thanks so much for stopping in! Good luck with your debut novel! Annette Drake’s work is character-driven and celebrates the law of unintended consequences. Her debut novel, Celebration House, debuted on August 1st in e-book format for readers everywhere from Tirgearr Publishing. Annette left high school after two years to obtain her GED and attend Truman State University in Kirksville, Missouri. There she earned a degree in journalism before working as a reporter and editor for newspapers in Missouri and Kansas. 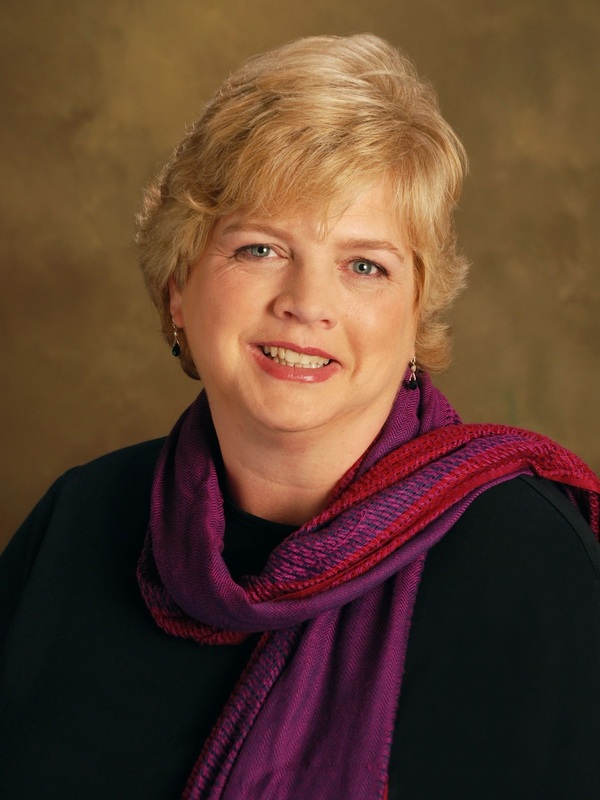 She earned a bachelor of science in nursing in 1994 from Rockhurst University in Kansas City, Missouri, and worked as a registered nurse in hospitals throughout Missouri, Alaska and Washington for 18 years before returning her focus to writing. Annette recently completed her middle-grade novel, Bone Girl, and is hard at work revising her steamy contemporary romance, A Year with Geno. She is the mother of four children. The oldest just graduated from the University of Washington; the youngest just graduated from kindergarten. She is a member of the Society of Children’s Book Writers & Illustrators. She loves libraries, basset hounds and bakeries. She does not camp. Glad you had Annette over. I enjoy her writing in different genres. How about self-publishing like the rest of us indies? Good luck!